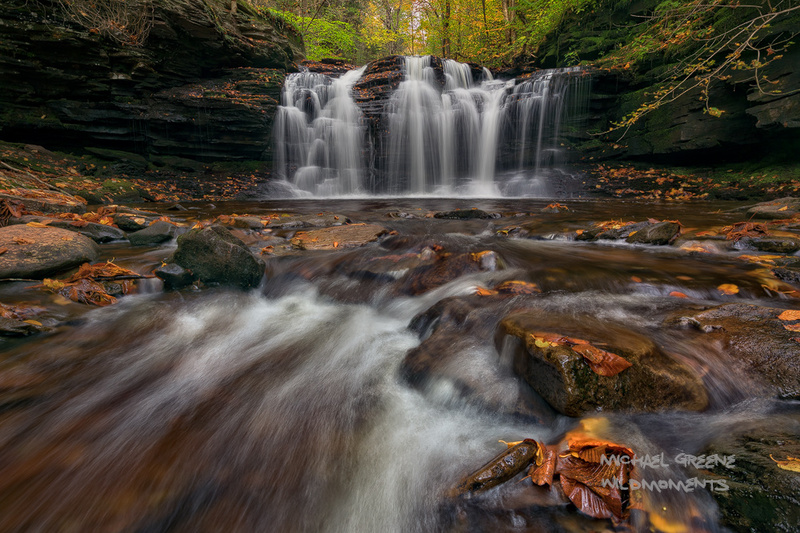 The 94-foot Ganoga Falls is the highest of 22 named waterfalls. Old growth timber and diverse wildlife add to the beauty. Photo © copyright by Michael Greene.